I’m so lazy! I was talking with a friend about the Roots and Shoots group that she runs – all these kids and families are learning about important issues, and raising money to do some good in the world. And planting trees. And doing beach clean-ups. And collecting food and clothes for the needy. And I realized that – sheesh, I’m such a slacker! Seriously – I want to raise good citizens who care about the world, who feel a sense of responsibility to volunteer in their community. But if it impedes on my weekend? Fagettaboutit. I have REALLY good intentions. But I work full time, and I come home and I just want to be with my family. And do laundry. Not really, but it needs to be done. Is that so wrong? So I was so happy to find Members Unite. It’s a really easy way to make a significant impact on the world, and the kids and I can choose projects together… on the couch, while I drink a glass of wine. I KNOW! I SAID I’M LAZY, YOU DON’T HAVE TO JUDGE ME! For $5 a month, the kids and I can rate projects based on what we would like to support. We just signed up, sat on the couch and looked through the nine proposed projects for this projects. We gave high ranking to helping premature babies (because who can resist a picture of a baby?) but gave the highest ranking (5 stars!) to help The Nature Conservancy plant 5,000 trees in Brazil! Each week, the projects with the most votes will advance, and the winning project each month gets $5,000. Five grand can go a long way – a lot farther than my $5 on it’s own. Today only 7 percent of the Atlantic forest in Brazil remains, much of which is in isolated fragments. Animal and plant life of every imaginable kind live under the lush, green canopy of Brazil’s Atlantic Forest. High in the treetops, golden lion tamarins forage for food while woolly spider monkeys gather fruit and nuts. Blue-winged macaws, red-tailed parrots and countless other birds call out while elusive jaguars prowl the forest floor. So why don’t you join us? There is a $25 annual membership to cover administrative costs, then you can decide how much you want to give each month, starting at just $5 a month. For a limited time, Members Unite is offering my community a 50% discount off the annual membership fee! Use code “WELOVEMOMS” when you sign up. If you join, please let me know in the comments and share which project(s) you voted for! We’re starting here. The kids are excited about tracking the projects to see which ones make it to next week. And maybe, one of these days, I’ll actually get us out to plant some trees for real! 3/15 update: Inspired by Members Unite, I’ve applied for a scholarship to organize a community Earth Day project! I have kids who are passionate about reading. I get asked about it all of the time, and would like to share what I did to get my kids started on the path toward loving to read. It is not so complicated. It starts with sitting down and reading a book. Books have a lot of competition, how do we help our kids fall in love with them? It is difficult to make reading to your kids a priority, yet nothing can replace reading aloud to your child. Not reading computer games, not reading Leap Pads, not educational TV shows. It comes down to making reading to your child special, something you can both look forward to, and choosing great books. Make reading to your kids a part of your daily routine. Bedtime is an obvious time to read to your child. It helps soothe them, and can be very relaxing for them. It also helps establish a bedtime routine. 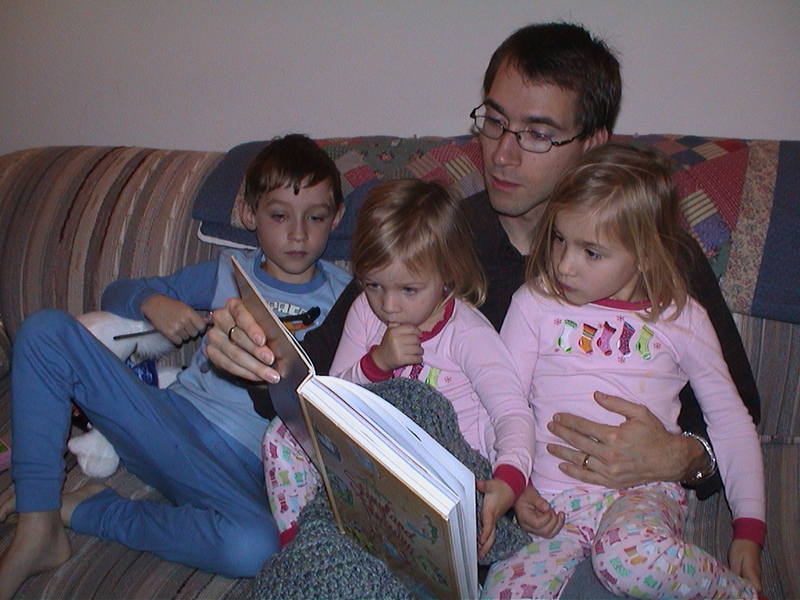 It is great for kids to have their dads read aloud as well, so this is something he can do. As they get older- say 4 years old, you can move towards more advanced chapter books, such as Charlotte’s Web or Charlie and the Chocolate Factory. My husband often has the kids summarize what they read the night before, which they love. You can and should continue to do this, even after they are reading to themselves. My kids are 8, 10, and 12, and Brett still reads to them at least a few times a week. 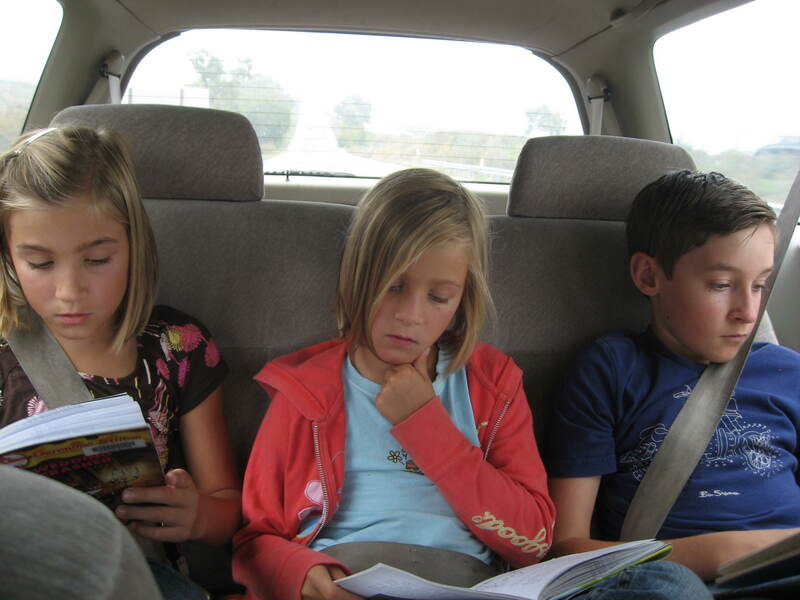 They are currently going through the Fablehaven series. I found that I was often too tired to read to the kids at that time of day, so when I had preschoolers I would read to them after breakfast. 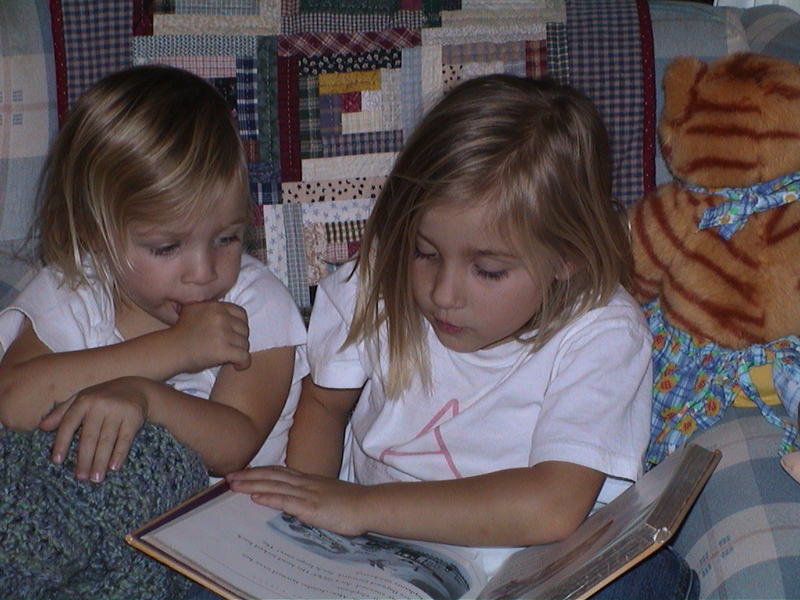 I started really young, at around 18 months, and expected them to stay focused all the way through a book. Young kids tend to want to turn the pages really fast, but make them wait until you are done reading all of the words, and then let them have the job of turning the page. Don’t just summarize. Read every word, the same way every time. This helps build their vocabulary, and they start to learn the words themselves. Make your reading time fun and special My youngest loved to play with her books. One time I found her putting her books around the edge of the coffee table, and we started calling it her “circle of books”. 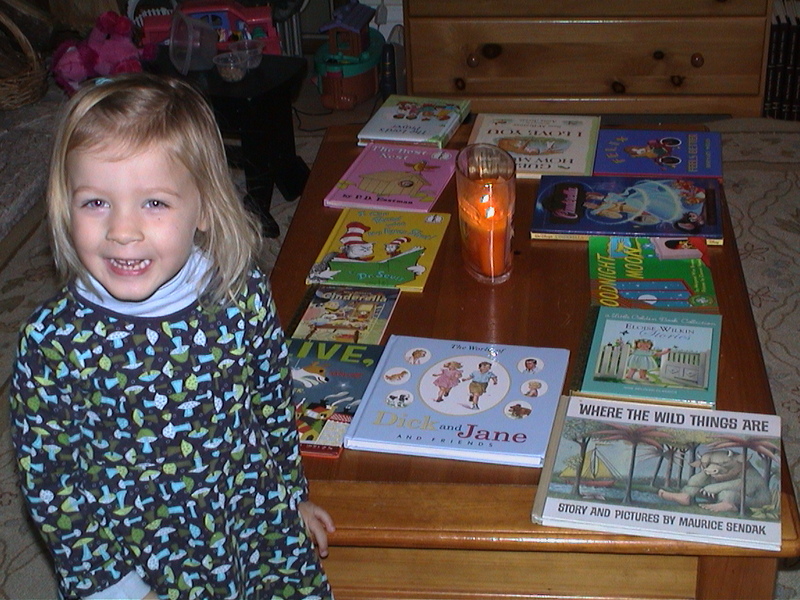 She loved to make her “circle of books” every morning, and then we would light a candle, put on some soothing music, and read as much of the circle as we could. It was a very special time we had together when her older siblings were at school. Kids love repetition, and getting to know their books very well. You will find that they want to read the same books dozens and dozens of times. They will often memorize their favorites. As they get older, let them “help” you read. I would often read most of a phrase, and let them fill in the blanks. They almost always knew the words I left out. As they get older, you can have them “read” every other word. It is amazing how well they know the books. This gives them a lot of confidence towards reading for themselves, especially when you get very excited about what “good readers they are”. Another game you can play while reading is changing certain words or names in their favorite books, making them crazy and outrageous. Read with animation. Kids really love it when you read with a lot of inflection. If you want to go there, you can add silly voices for different characters- but be prepared for them to ask for it every time. Sometimes, when you are tired, you will find that you have read an entire page and don’t remember reading it! I almost fell asleep many times while reading aloud. I don’t think the kids even noticed. Stay engaged with what you read as much as you can. 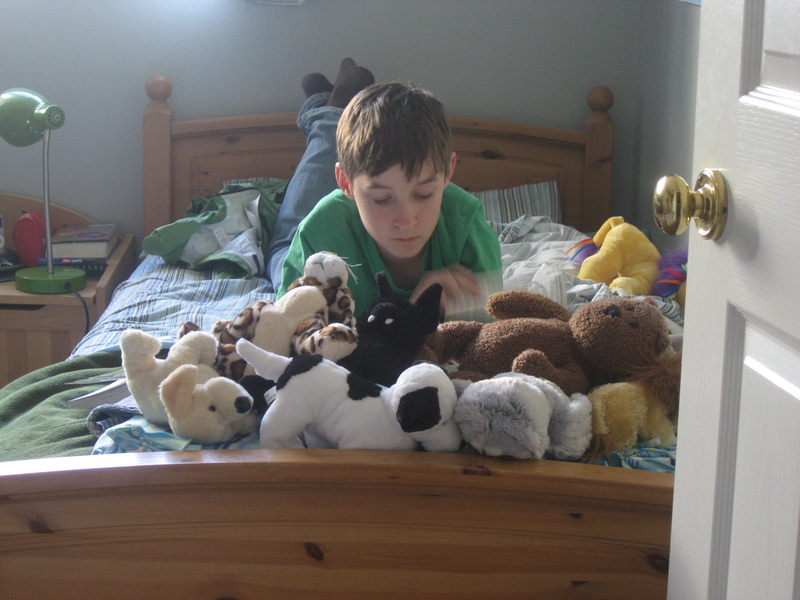 Every child is different, but find ways to make reading aloud relaxing, cuddly, and fun. Your kids will start to really love that time with you and associate reading with positive, cozy feelings. As a parent, you have control over what your child is doing for entertainment. Put books everywhere that your child has access to them. Turn off the DVD in the car. Take books with you when you go out rather than Nintendo DS. Try books on CD for the car. You can find these at the public library. Put books in the bathroom. By the bed. Give them every opportunity to become exposed to books. A lot of frustrated parents tell me that their kids don’t like to read. It is kind of like a magic switch- sparking that love of reading. It can take a while, but I believe with encouragement, every child can find it. As a parent, it is your job to do your research. Find out about great, recommended books for their age. Get involved. Ask them what books they have liked. Look for books that are similar. Ask your school librarian for ideas. If they haven’t liked much of what they have tried, try different genres. A lot of kids love mysteries. Boys tend to like fantasy. Try a non-fiction book. Try something funny. Comics like Calvin & Hobbes are great for getting into reading. A lot of kids love the Diary of a Wimpy Kid series. Some kids love Greek Mythology. Talk to other parents about what their kids have liked. 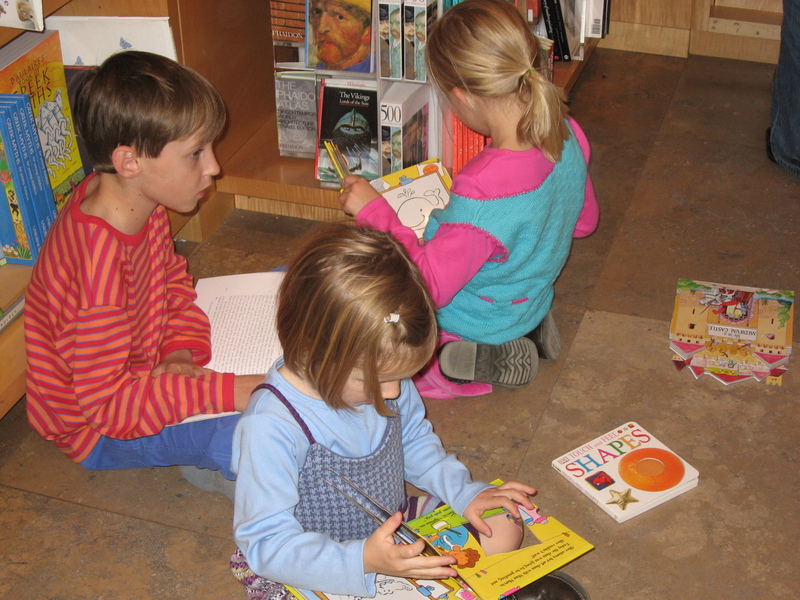 Take your kids to the public library and spend time there just looking at books. There are often wonderful, knowledgeable children’s librarians who will have great ideas for new series to try. We utilize that resource often. Read a chapter book with them. This can help with the intimidation factor. Have them read a chapter, and then you read it after they go to bed. The next day discuss it with them. Kids love when you engage with them and show interest in them. This is as important, or more important, than attending their sport games. You can also try reading aloud every other chapter with them to encourage reading to themselves. A friend of mine tried that recently and it helped get her daughter over the hump. Turn off the TV, and read yourself. Kids learn from example. Last, but not least, here is the biggest one, and I cannot emphasize this enough: limit video game and TV time. Make video games and TV something they earn. I have my kids clean their rooms, do homework, reading, exercise, and piano, before they can even think about video games and TV or any handheld electronic device. However, reading has always been free. For boys, video games are probably the number one thing that draws them away from books. It is more immediate, and exciting, and also addictive. If used as a motivator, then there isn’t as much frustration on your part, if they have done the things you want them to do first. Happy, happy, reading is what I wish for your kids! I just had a heart-wrenching experience with some of my favorite people. We are blessed to have some amazing neighbors, with kids all in the same age range, and we enjoy sharing meals and playing together. My kids get along great with all of these kids, except when these two boys are together. There’s some dynamic that happens when these boys play, that makes them mean to the other kids. Anna and Eric were so excited to get to go to our neighbors for breakfast this morning, but the moment we walked in the door, those two boys said, “Hide from the Monsters!” and ran away. The whole time we were there my kids were excluded and called names. The parents of those two boys were ALL OVER IT. They had repeated conversations with the boys, and talked to them about being nice and including my kids. It didn’t help one bit. I need to be clear that either of these boys on their own are such sweet playmates with my kids. They are kind, inclusive, creative and fun. They genuinely like to be with my kids. But put the two of them together, and watch out. They’re not only this way to my kids, they’re like that with everyone. How am I supposed to react as a parent? Anna was pretty upset about the boys “being mean and not including me.” But once we got home, she claims she had a good time and she seems to have forgotten about it. I don’t want to project my own feelings on the situation if it’s really not bothering the kids that much. There’s a fine line between letting the kids work it out amongst themselves, and wanting to protect my children from mean behavior. Also, I’m conflicted about how to deal with these boys ~ on the one hand, I have to help Anna understand that if someone doesn’t want to play with her, she can’t make them. But on the other hand, we were invited guests… so she has the right to expect that he’ll be nice to her. 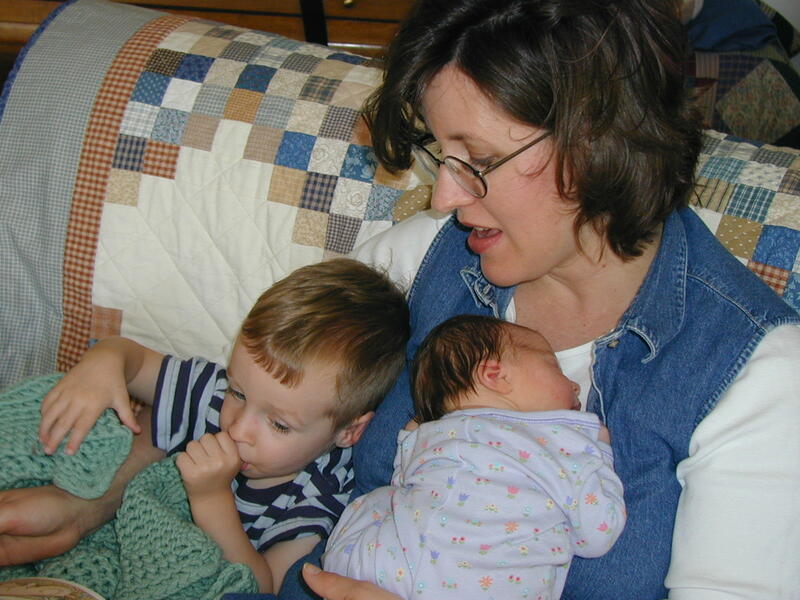 I talked to the moms of both boys and expressed that I just don’t know how to deal with it. I was reassured that the boys are like this with all kids, not just mine. We talked about the balance between dealing with it as a parent and overreacting. I don’t know, but I think I need to come up with some perspective so I can deal with these things in the future without getting so upset myself. I’d appreciate any advice I can get!